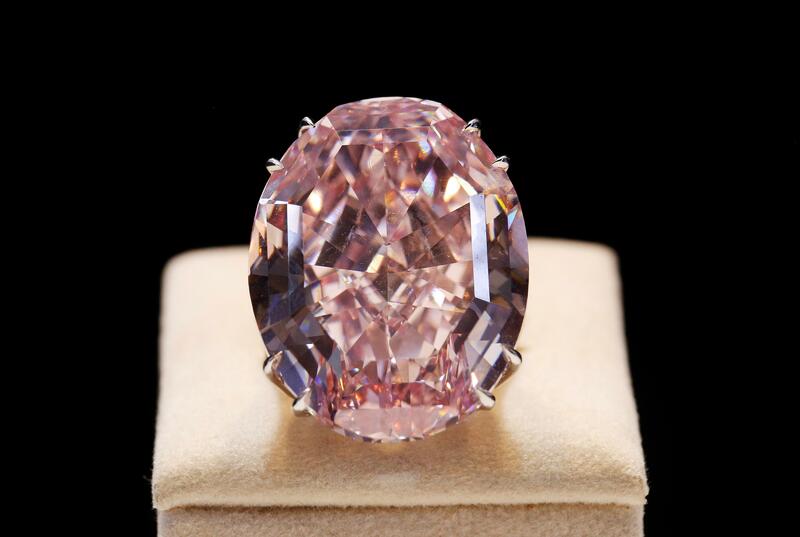 Last week i read something about a pink diamond being auctioned for the most expensive price for a jewel ever. To be honest, i couldn’t find the piece again. I did find articles about one sold in 2013, 13 November. I have no intimate knowledge of gems and their cuts. Or jewels rather. I never really payed any attention. But over the past few weeks i’ve been doing some searches for expensive and rare gems and jewels. I do suspect that the most expensive jewelry is in the royal collections of the UK, the Netherlands, the old Russia Romanov family, the Iranian Royal Jewels, Asian royals, and many many more. For now, i want to focus on jewelry actually being sold. Some jewels are focused on a single gem, others use a multitude of gems in a composition. 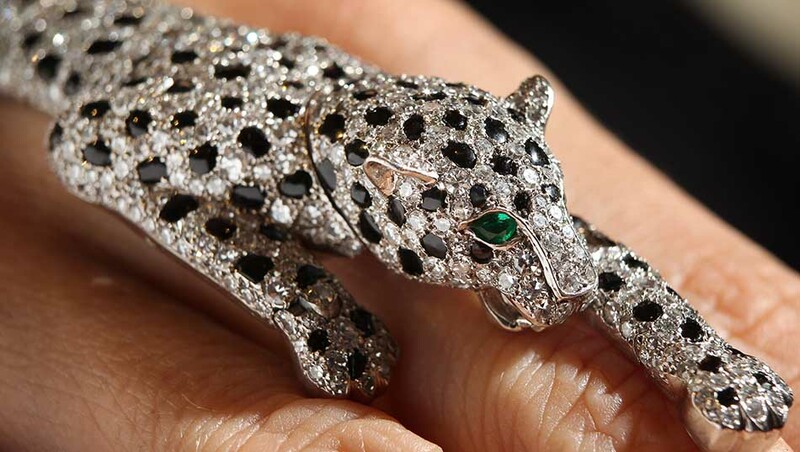 Wallis Simpson Panther Bracelet – $12.4 Million. A Cartier created bracelet in the form of a panther. The panther's body is composed of diamonds and onyx. Two specially cut emeralds make its eyes. 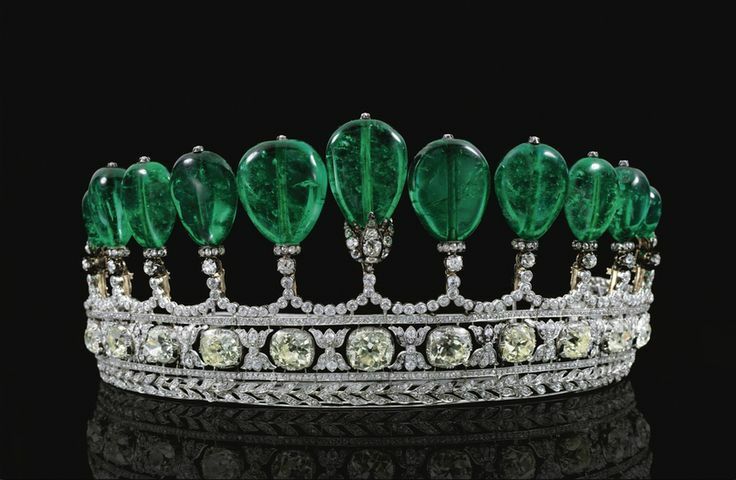 Emerald and Diamond Tiara – $12.7 Million. In weight alone, the eleven rare Columbian pear-shaped emeralds come in at 500 carats. 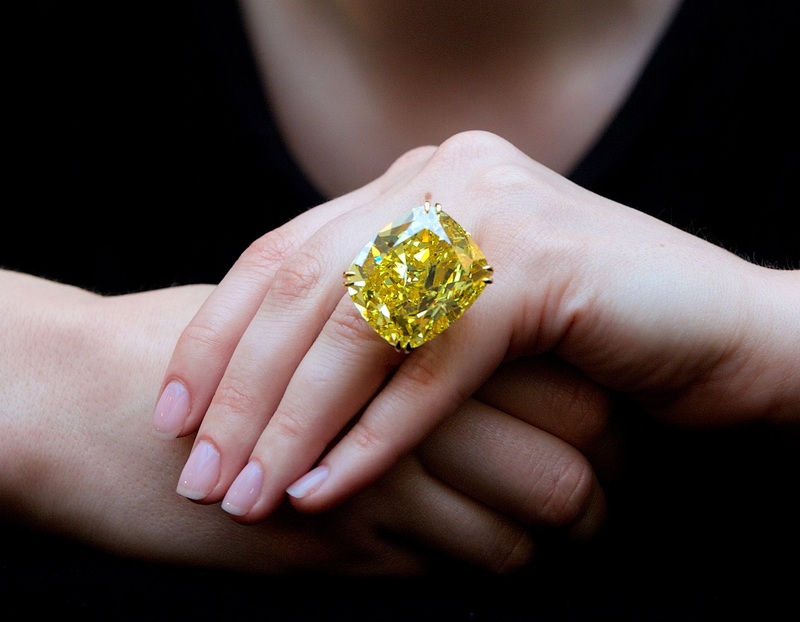 Graff Vivid Yellow – $16.3 Million. A 100 carat yellow diamond mounted in gold with diamonds on the band. The Blue Belle of Asia – $17.3 Million. A cushion shaped sapphire weighing in a little over 392.5 carats. A diamond covered gold neckchain and tassels make the necklace. 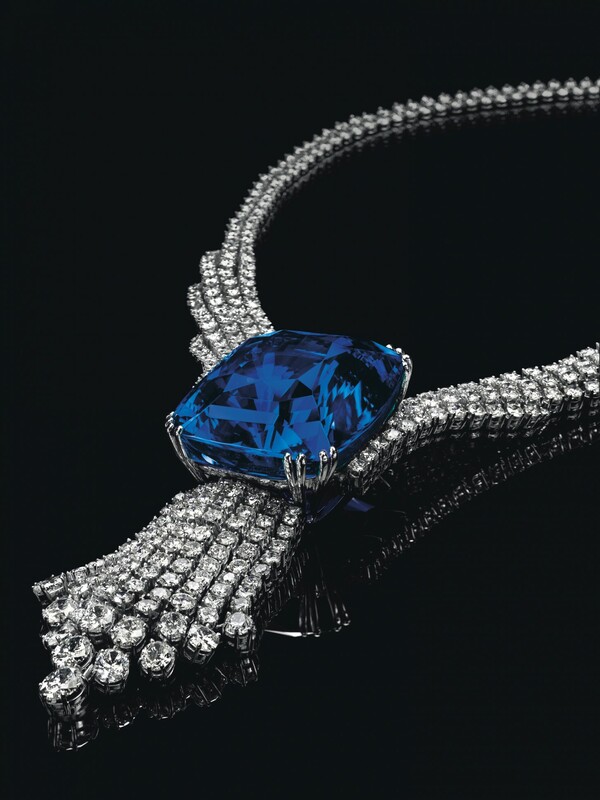 The Hutton-Mdivani Jadeite Necklace – $27.4 million. 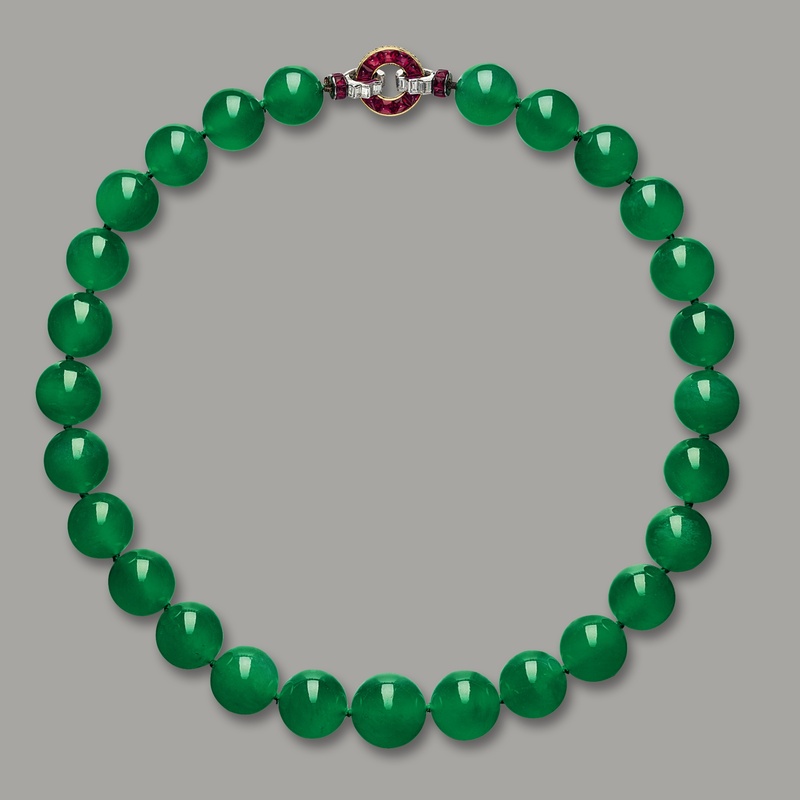 The necklace is composed of 27 emerald green jadeite beads. The finishing touch is provided by a ruby, diamond, platinum and gold clasp to secure the necklace around the wearer’s neck. 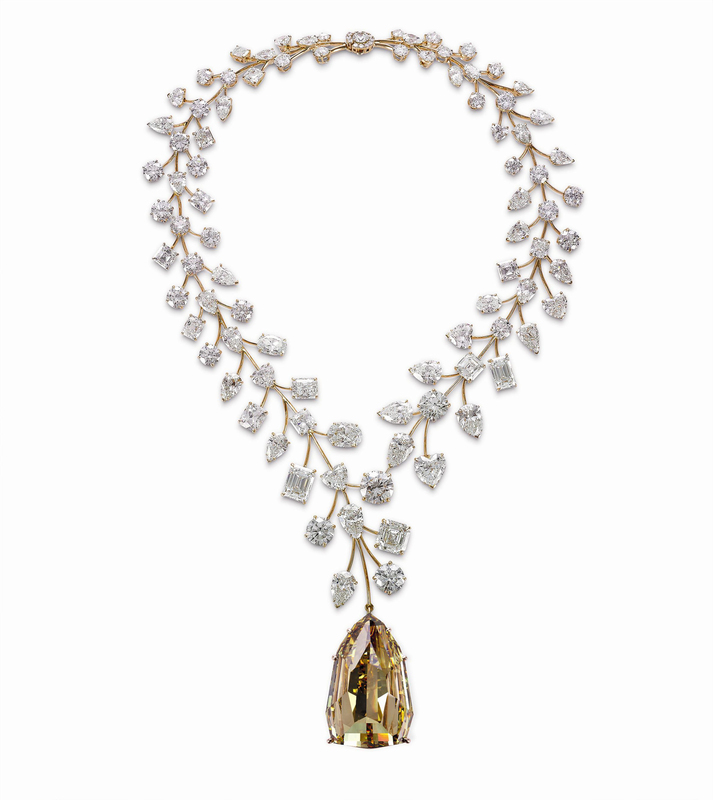 L’Incomparable Diamond Necklace – $55 Million. The L’Incomparable Diamond Necklace is the most valuable necklace in the world and features the world’s largest internally flawless diamond, the 407.48-carat Incomparable diamond. Complementing the massive yellow diamond are 230 carats worth of smaller diamonds. The Pink Star - $72 Million. The gem is a pink diamond of 59.60 carat. It was mined in 1999 in South Africa.